no fun day for you! Today’s the day the Anderson Center for Autism is coming to Wildwood to evaluate and observe Jonah. In a few days or so we should know (a) whether they’ll take him and (b) when they’ll take him. Then, maybe, we’ll have three residential schools from which to choose. 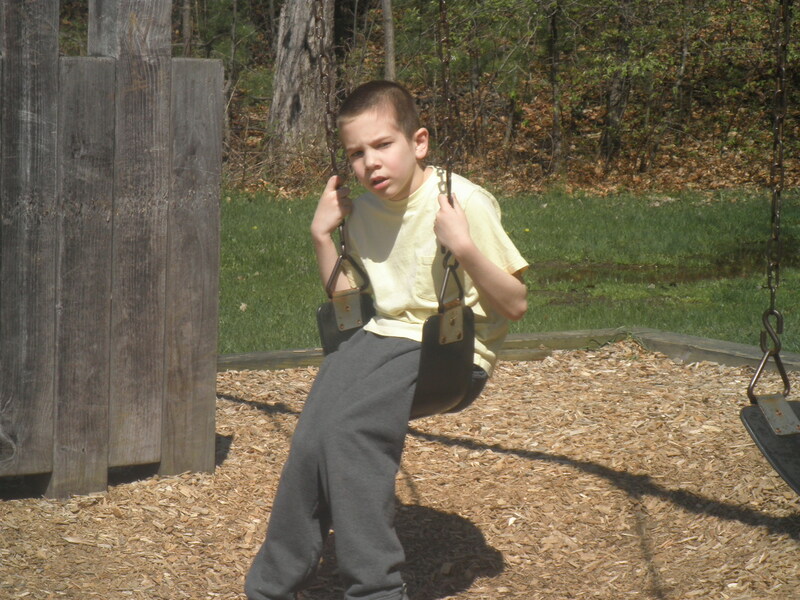 Today is also “fun day” at Wildwood, but Andy has to pick him up as soon as the Anderson people leave because Jonah’s not allowed to participate in the fun day activites; he’s too violent. While I understand their decision, it upsets me that my little boo can’t enjoy whatever the other kids get to participate in…plus it makes Andy’s unpredictable day with Jonah that much longer. The irony is that Jonah had a very good day yesterday at school, with barely an aggression to speak of. The blessing is that Jonah likely won’t care. A car ride, a bath, grandma, and some peanut butter roll will, perhaps, suit him just fine. I hope. But it makes me sad all the same.